Backup solution that allows you to create automatic backup copies with strong AES-256 encryption and store remotely in a secure data center. 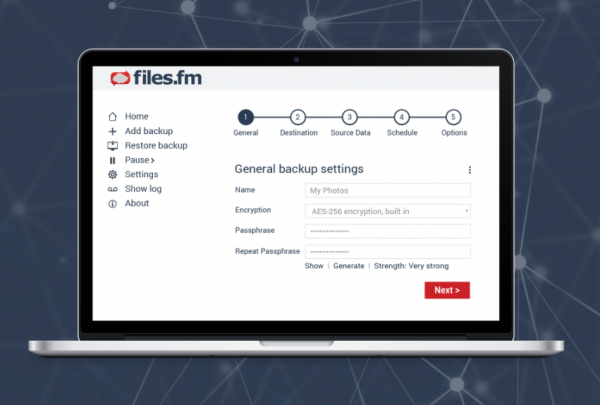 Automatically creates encrypted file backup copies. Stores backup copies in the Files.fm paid account from Windows or MacOS devices. The tool has a simple and prudent management interface, available locally via web browser or through a network for administrator access. The tool uses the AES-256 encryption to protect your privacy and can utilize GnuPG to encrypt your file copies, before copying them to the server. By using an installation wizard and the default values, you can setup a full file backup in 10 minutes. For each backup job, you can specify when and how often to make backups, how many versions to store and for how long to keep them on the server. An icon appears in your Desktop toolbar near your clock, that informs about the status of the backup, and lets you access the control panel. 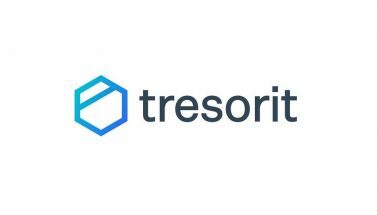 Tool efficiently uses data deduplication and compression to save up storage and time needed for backups.